John spotted this at subway. 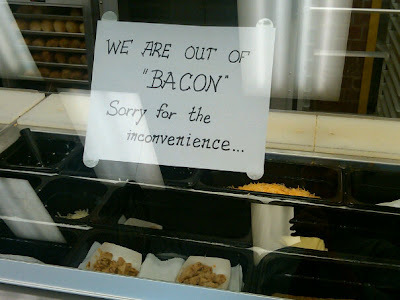 As a former sandwich artist, I will admit that the refrigerated then nuked stuff they have there is a sad distance from actual, pan-fried bacon. We are out of PIG.